Prominent & Leading Manufacturer from New Delhi, we offer stainless steel flat bucket and stainless steel double diner pet bowl. 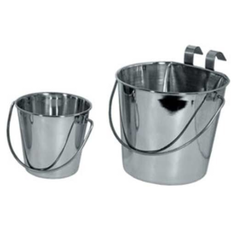 Owing to the expertise of our team of experienced professionals, we are able to manufacture and supply an exclusive range of Stainless Steel Flat Bucket. 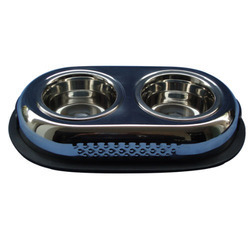 Our firm specializes in offering an excellent range of Stainless Steel Double Diner Pet Bowl. Due to features like durability and shiny surface, the offered range is extensively demanded in diverse industries. A team of our qualified professionals, with a wide experience manufacture the offered tongs using high grade steel and modish technology. The offered tongs are available with us in diverse sizes, shapes, designs and other related specifications.